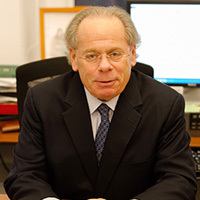 Steven Cohen is the Executive Director of Columbia University’s Earth Institute and a Professor in the Practice of Public Affairs at Columbia University’s School of International and Public Affairs. He is also Director of the Master of Public Administration Program in Environmental Science and Policy at Columbia University’s School of International and Public Affairs, Director of the Masters of Science in Sustainability Management at Columbia University’s School of Continuing Education, and the Director of the Research Program on Sustainability Policy and Management. Dr. Cohen served as a policy analyst in the U.S. Environmental Protection Agency from 1977 through 1978 and 1980-81, and as consultant to the agency from 1981 through 1991, from 1994 to 1996 and from 2005 to 2010. From 1990-94, Dr. Cohen served on the Board of the Pew Faculty Fellowship in International Affairs; he has also served on the Executive Committee and Committee on Accreditation and Peer Review of the National Association of Schools of Public Affairs and Administration. From 2001 to 2004, he served on the United States Environmental Protection Agency's Advisory Council on Environmental Policy and Technology. He currently serves on the Board of Directors of Homes for the Homeless. He is the author of Sustainability Policy: Hastening the Transition to a Cleaner Economy (2015), Sustainability Management (2011), which he published this year with fellow co-investigator William Eimicke and Earth Institute Deputy Executive Director Alison Miller, Understanding Environmental Policy (2006, 2014), the first edition of The Effective Public Manager (1988), and has coauthored several other publications. Dr. Cohen is also a regular contributor to The Huffington Post.